Princess Birthday went well. She had two party celebrations one was in her nursery and the other one was at McDonald’s (as requested by the celebrant). We baked 3 pans of moist chocolate cake (Andrea insisted of doing the sifting stuff and mixing the ingredients, as usual) and can’t get her hands off the cake after we finished decorating it. Her big day started early, she went to the nursery first and stayed til two in the afternoon. 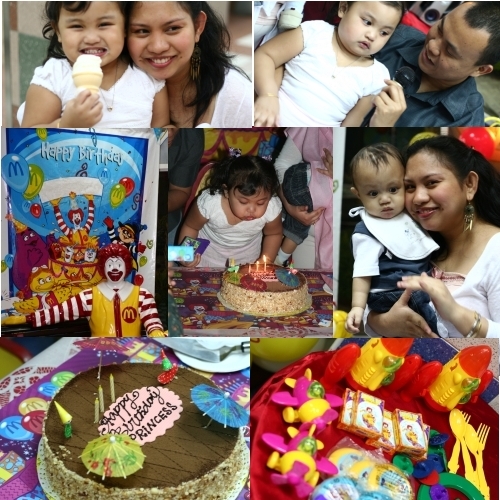 They had a small celebration during lunchtime, each kiddo had their share of the celebrant’s homemade chocolate cake. They sung happy birthday to her and I guess made some fun. When she came home I told her to have a nap but she played with her brother until daddy came home and as expected nobody got to sleep (no doubt with daddy around). And the time was so quick, time to go to her party and she had no energy at all for her big bash. When we reached McDo I told her dad to buy her a kiddie meal (wishing that it might energize her but she’d been drained). The party started late (dang! Filipino time!) and Andrea wants to drift off to her lala land for some sleep but luckily she did not dozed off. I guess party pictures would describe best what she’d been feeling that moment. Tired, energies sapped, sleepy, a little bit grouchy but still Happy. 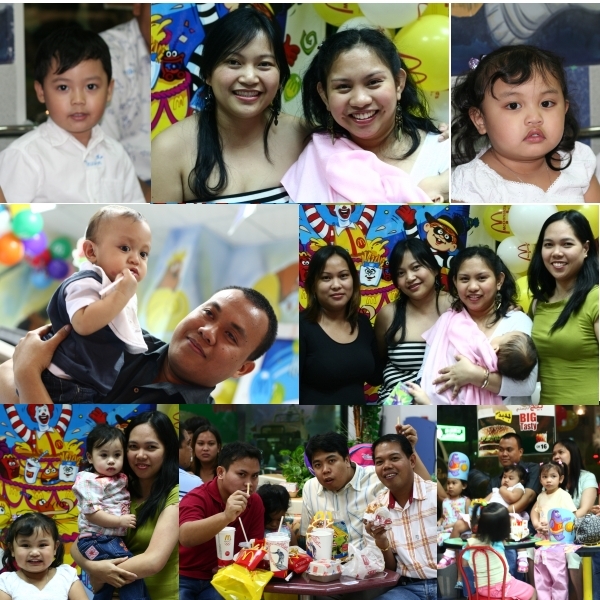 Thanks to all the friends (old and new ones) and kids who came for Andrea’s party. Thanks to all the wishes and the gifts (she woke up very early the following day and asked me if she can open her gifts already) and to my dear li’l princess, mom and dad loves you very much! Next PostNext A Good Start!